Bigger Law Firm Magazine logo. 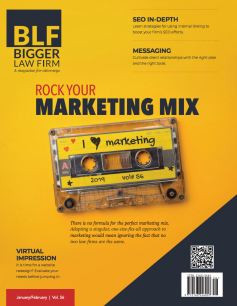 When referencing the magazine, please do so as "BLF Magazine" or "The Bigger Law Firm Magazine" or "Bigger Law Firm Magazine". For media inquiries, please use the form below.